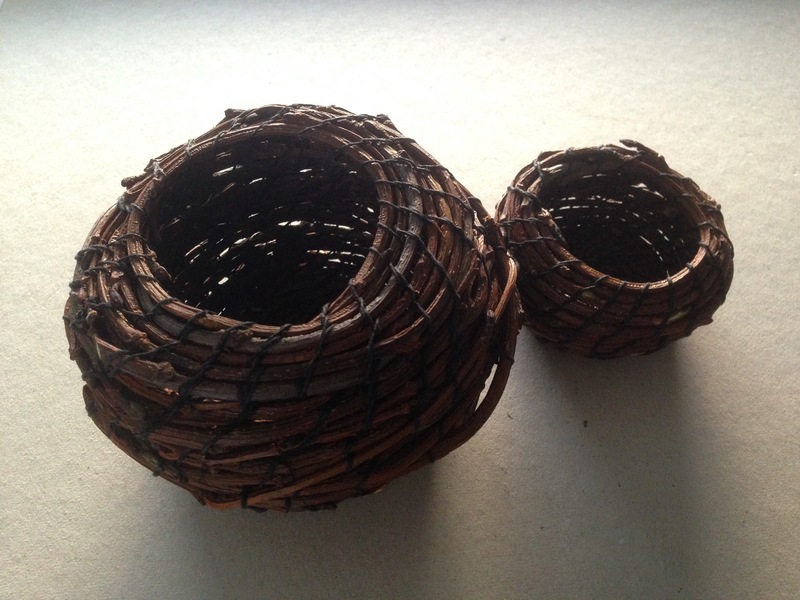 Big alder basket and little alder basket are complete. Now I’m working with rowan twigs and they don’t smell so sweet! aren’t these really spiky? please don’t hurt yourself! They are a bit jaggy, yes. I didn’t have a bag to put them in yesterday so filled the kangaroo pocket in the front of my jumper. Had to remember not to bend over before taking them out!